Located in the beautiful and culturally diverse city of Vancouver, Canada, the University of British Columbia’s Teacher Education program is designed to meet the needs and aspirations of international students wishing to teach in Canada and around the globe. UBC’s Bachelor of Education program is recognized by international education communities as a leader in preparing students to teach in elementary, middle school, and secondary school contexts (ages 5 to 18 year olds). For those interested in becoming an International Baccalaureate Educator, UBC is an excellent choice. Global perspectives are key to education, and this central tenet of the International Baccalaureate is shared by the University of British Columbia. More than 1000 IB diploma graduates choose UBC as their university. International students holding a degree from an accredited institution are welcome to apply to UBC’s regular Bachelor of Education program or its Bachelor of Education – IB Educator stream. Both programs lead to a highly-regarded degree and certification recognized far and wide. UBC is an international university that attracts 50,000 students from 140 countries around the world. International students in the UBC Bachelor of Education program enjoy a very supportive network of experienced, professional program advisors. For example, students know their course load well in advance of their arrival, they are greeted when they arrive, and they are assisted in acquiring accommodations, navigating transit, and settling into coursework. We do everything possible to support international students’ success in the BEd program. Financial assistance of up to $5,000 is awarded to each international student after successfully completing the first three months of their Bachelor of Education program. For more information, contact Dr. Keith McPherson at keith.mcpherson@ubc.ca. What is the application deadlines for international students? 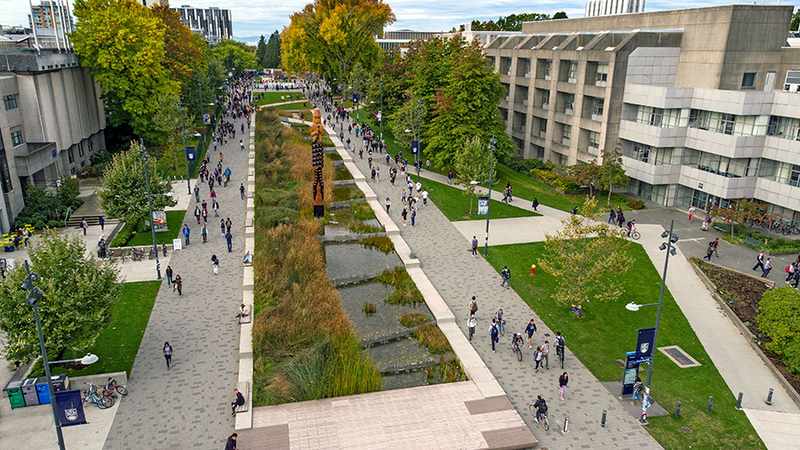 International applicants must have their application and supporting information received in the UBC Teacher Education Office before February 15, 2019.
renew their existing permit if proceeding to the Bachelor of Education program. In addition, as the program requires a teaching practicum, students are required to apply for and obtain a Co-op Work Permit from Citizenship and Immigration Canada. Please be aware that the Co-op Work Permit requires a medical report from an approved physician. See www.cic.gc.ca/pp-md/pp-list.aspx for names of approved physicians in various locations. Information about the Co-op Work Permit procedure can be found at www.cic.gc.ca/English/study/work-coop.asp . Information about the time necessary to process permit applications can be found at www.cic.gc.ca/english/information/times/temp.asp . Applicants are strongly encouraged to check all of the above information for planning purposes and to start the process as early as possible. One can apply for both the Study Permit and the Co-op Work Permit once an offer of admission is received. What are tuition costs and fees for international students? Visit Tuition Fees on the UBC Student Services website . International applicants who have applied should contact us at teacher.ed@ubc.ca for additional information about financial support. All applicants to the BEd program must have completed 6 credits of English in an accredited post-secondary institution. In addition, applicants who have not completed all post-secondary studies in an institution from a country where English is the language of instruction will need to provide an approved English proficiency test taken within two years of the application date. Only IELTS-Academic or TOEFL accepted. For more information on language proficiency tests for the BEd program, please visit this page.